Ecco bring us 216513/51707 FELICIA SANDAL. 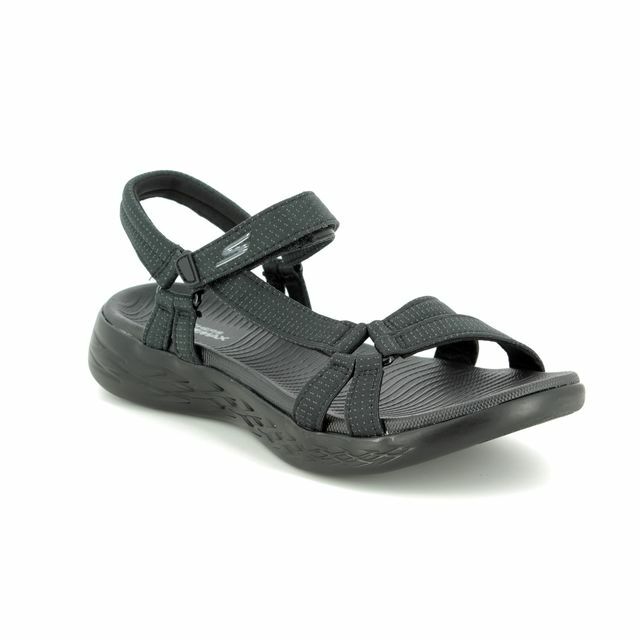 These ladies sandals are a real summer staple, equally ideal for home and holidays. 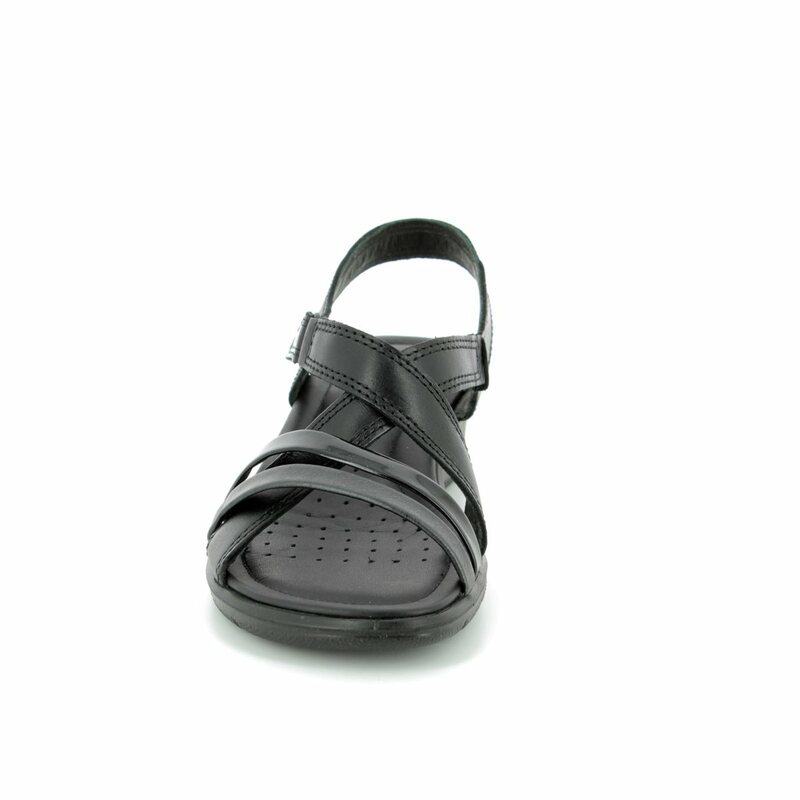 The black leather straps feature patent and textured leathers in the crisscrossed straps over the toes. Ecco have used a crisscross design over the feet to offer a more secure fit while encompassing the easy and breathable styling of the classic sandal. 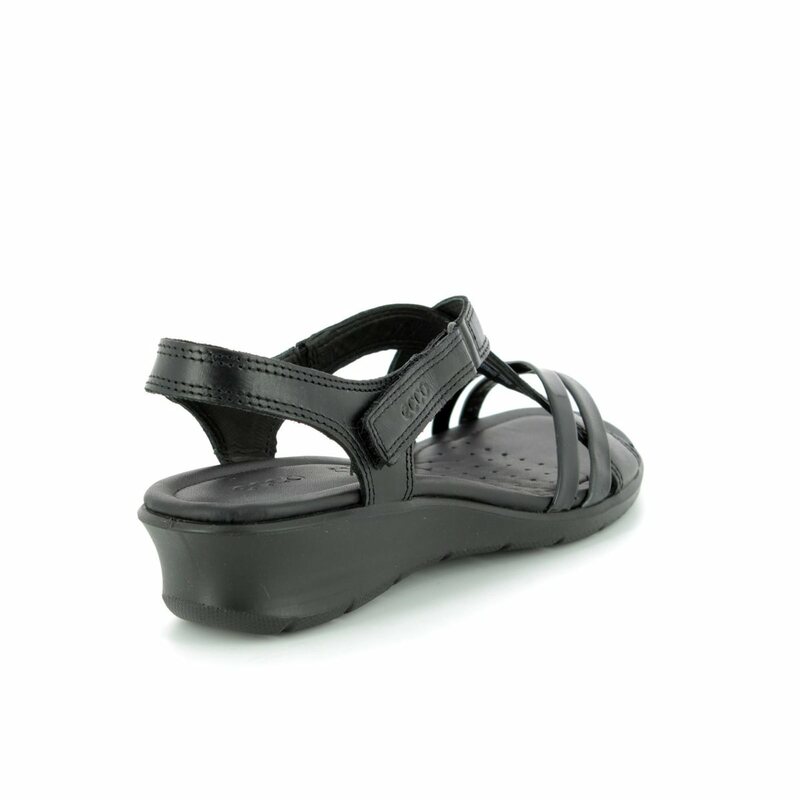 The addition of a velcro fastening allows these sandals to be easily adjusted around the ankle for a secure and tailored fit. The soft leather of the upper is continued into the lining for the ultimate in comfort. A slight elevation to the heel of these sandals offers lift making these fantastic to wear. 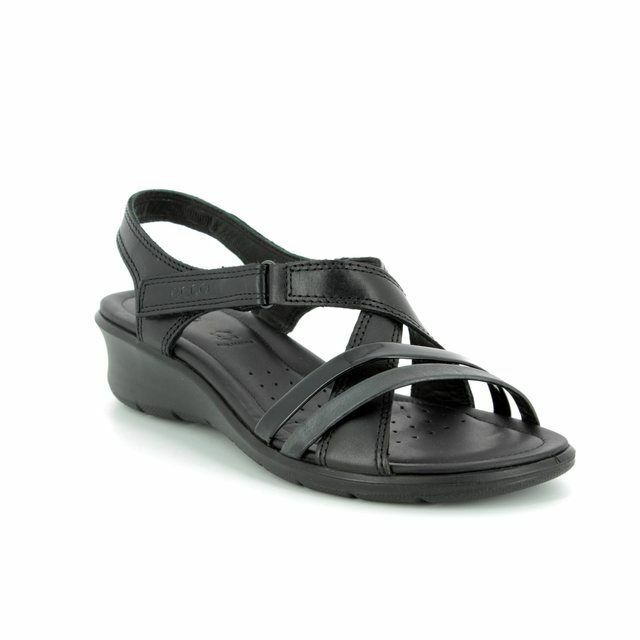 Ideal paired with summer dresses or cropped trousers, these ladies sandals are a wardrobe essential. 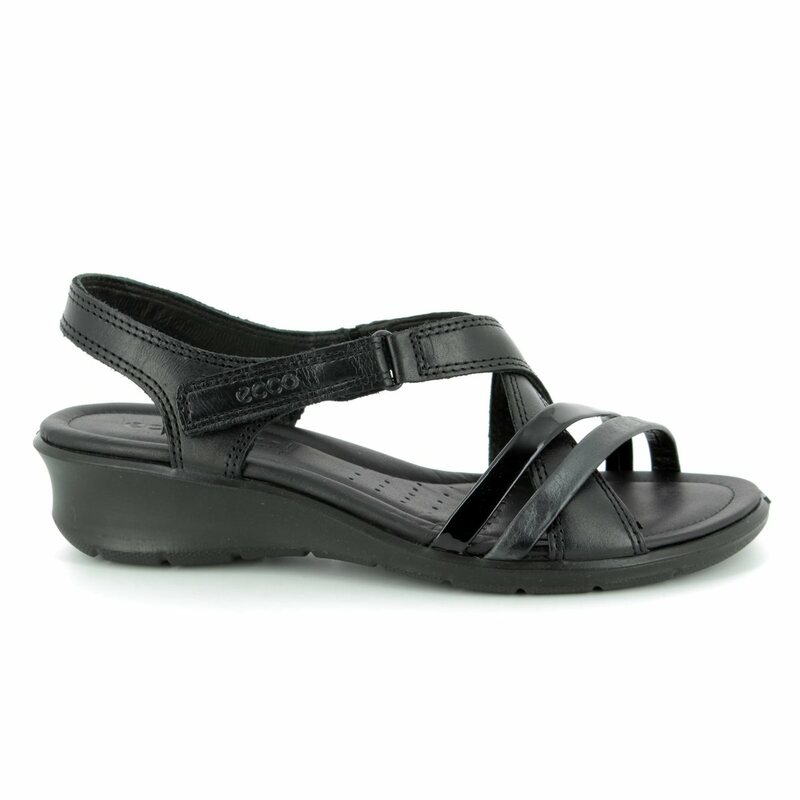 Buy your Ecco ladies sandals from Begg Shoes, an official Ecco stockist.